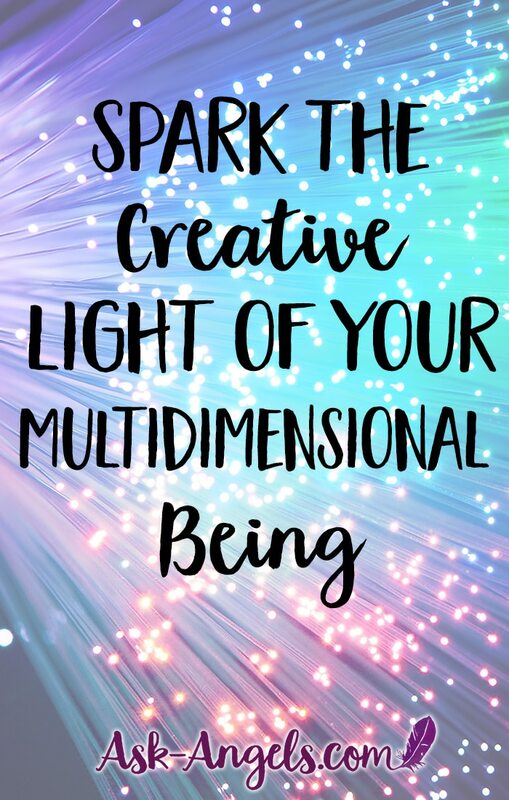 As we each continue on this path of bringing more of our highest Divine light and true authenticity into the physical… I was inspired to share this new channeled message with my Highest Divine Multidimensional self… About how to spark the Creative Light of Your Multidimensional Being. Listen or watch via YouTube, or keep scrolling down to read the written message. Know that indeed you have reached a turning point both collectively and individually. This is the point of no return on the path of embodying your highest truth. In other words, no longer can you return to the limited version of who you have been… No longer can you stay confined in one of the few acceptable boxes of society. No, you have realized, and it is becoming ever more apparent that you are meant for so much more. Presented before you are doorways of love, leading you into the new frontier that is beyond normal… That is authentic, vibrant and true. And so, yes at this current point, you are very much in the place of being between words, of being on the shoreline between the earth and the sea… Perhaps you have one foot anchored in each, or alternately you may feel you’re uprooted, and truly anchored to neither. Either way, yes, here is exactly where you are meant to be. Letting go of the known… And stepping into the infinite is the new frontier and opportunity opening before you. The path, of returning your awareness to Source and to the highest light and pure creative expression, for in this you can then anchor your higher connection, higher authenticity, and vibrant truth into the physical. Not brining new light into your old box or constraints… But creating an entirely new life. A life aligned, a life inspired … A life outside of the box … A life authentic and a life truly you, unchained living vibrantly in the new earth energy that is very much here emerging from the old. Are you open to the new? Newness is after all the truth of your existence as a physical being … In each and every moment you are entirely new, and yet there is a learned fear of change, and a fear of what is fresh, new and outside the norm. And so much of what has happened in the past is copy and pasted into your present and into your future. Your patterns and habits bring the old cycles and paradigms, even when they are less than ideal into the new frontier… There is a limiting pattern where you wake up completely free, and then immediately rebuild the box of confinement around you to feel safe. But this safety has become stifling, and is far limiting the scope and potential of what you are here in the physical to be, do, experience and enjoy. With awareness this does not have to be. For it is possible for you to energetically break off from the programming keeping things the same. This is possible through choosing to truly embrace the unknown and the new. To allow the waves of pure Divine light, inspiration and creativity to not only reach you and inspire you… But to be anchored in the physical by you through your action, expression and willingness. Willingness is key, to enter inward into the inner unknown frontier where you are free to explore the new horizons of the infinite awaiting your experience. Within this inner experience you are free to expand through the light of your heart to witness and experience first hand that you are far more than physical. And indeed who you are as a physical being is a very small part of your vast and multidimensional truth. Understand that as a truly infinite Divine being, for you to incarnate in the physical there was a fractalization of your full light required. What this means is your full Divine self is not only incarnate as the human, physical version of you that you most relate to now. Indeed, you also have higher selves and lower selves… Expressions of your Divine self-manifest in the physical, astral, and many alternate and parallel densities and dimensions. Awareness of your multidimensionality is becoming aware of the alternate timelines and experiences of you. The experiences of your star nature, your angelic expressions, and quite simply the alternate timeline expressions of your highest Divine self in physical, and non-physical form. With this expanded awareness of this multidimensionality, you are able to heal and resolve challenges across the dimensions. You are able to heal and integrate challenges, failures, frustrations and limitations as well as victories, skills, abilities, wisdom and power across the dimensions. Accessing the expanded truth of all you are through your heart center. The access point to your multidimensional being. Through which you can in this current expression and in all fractalizations of your Self, return to fullness of awareness as an integrated Divine being in physical form. Understand that this process is happening whether you are consciously aware of it or not. For indeed this is the present Divine song and theme for creation, to return to center, to integrate duality and to return awareness to the higher light and greater One. Indeed greater awareness is possible for you now… But to reveal your full access, and regain all of your keys to the kingdom as a multidimensional Divine being, it takes both letting go of past constraints, limited outlooks and beliefs as well as boldly accepting the new and unknow. A willingness to dive into the unknown is key. For, the new levels of your Divinity are very much unknown to you, the full experience of Christ consciousness, unity, and love, requires relinquishing the known and boldly stepping into the new. When you allow for fresh and new energy to flow through your experience, know that this unlocks much of your access to higher levels of creativity, inspiration and indeed newly empowered perspectives on how you can most impact positive changes in your life and at the global level. Impacting positive change at the level of your wise soul self is why you chose to be here on Earth now in your present form to tip the scale. To be a part of the ascension of Earth and humanity… To be a part of freeing humanity from the collective chains of illusion, scarcity, fear, and living a low vibrational, trapped and enslaved experience. And so you are encouraged to simply begin by making way for the new. Make space for the unknown and surprising in your life by circulating energy. What patterns do you firmly keep? Perhaps these are what you can shift. For example, try something new, clear out the old, test new possibilities, challenge your assumptions, travel, explore, write, and let yourself dream big knowing that you really are at a point when leaps in consciousness, and thereby big changes in your life can unfold. Be willing to approach life with new eyes, the wise and open eyes of your inner child who is willing to see the beauty, potential and opportunity opening before you for living in joy and love free from fear. At this point you are likely disconnected partially or fully from what it even is that you really yearn for and desire at the level of your soul, and this is due to the massive societal conditioning. This is due to the forgetting of who you are and to re-discover who you are it is essential to let yourself break free from the norm. For the very definition of normal speaks to conforming to the status quo, and let us remind you… You are meant to live free. You are here to be the one who breaks free from conformity to live your awakened, authentic, high vibrational truth. And so let the spark of your inner rebel be ignited… Being rebellious not in terms of breaking laws or causing havoc… But being rebellious in your willingness to not always fit in, and rather, to try something new, to listen to the inner whispers of your heart and to allow creativity to shine through you. To look at the boxes of acceptable creation in society. To look at the acceptable careers, and vocations, and hobbies and to then break the mold. Allowing your creativity to truly flow outside of the norm is not easy at first, but know that this is where your highest potential awaits. Your true Divine embodiment is far from what is presently considered normal or acceptable… It is miraculous. The process of restoring your freedom and true Divine sovereign nature is not easy, and to align with this, let us say there is some experimentation required… As you let go of the strong and long held beliefs of who you are… And rather let yourself play, create and explore. This is your ascension process. Know that you are supported, in exploring life. Let yourself color outside of the lines, explore off the trail, and dance to your inner rhythm. Start small while you continue to dream big. You can begin to cultivate your inner sense of freedom… Your inner brilliant, bold, and truly radiant Divine light as a multidimensional being within your current expression. And with this, with freeing yourself from limitation, you open to the infinite possibilities for creation, expression, and embodiment of your highest Divine light in a way that transcends what can even be imagined from your present vantage at this moment inside of space and time. 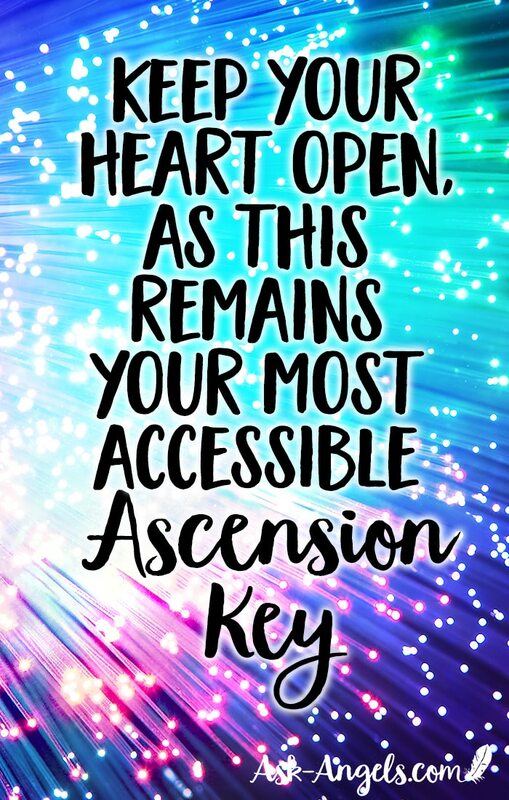 Keep your heart open, as this remains your most accessible ascension key. Check out the first message I published from my Highest Divine Self Here! P.S. Did you know you can get full access to all of the Premium Angel Messages, and Activations inside of The Angel Solution Membership? Thanks so much for this Melanie. Beautiful, timely, and reassuring. You’re an angel. God Bless.